The expert team at Newport Jets specializes in private jet charter flights in and out of San Antonio, Texas. 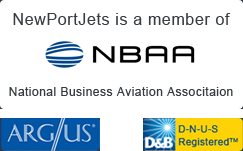 Newport Jets is one of the fastest growing private jet charter companies in the country. Our charter jet staff is ready and waiting to plan your local jet charter service for San Antonio, including concierge services to design your trip along with meals, beverages and any special services you might need in flight, or on the ground, we’ll even provide first class San Antonio hotel recommendations. Newport Jets has a wide variety of San Antonio private jets to choose from, including the Gulfstream G550 to the Learjet31, the company has the perfect private jet aircraft for each and every trip. Our charter jet team specializes in booking jet charter flights to and from San Antonio, Houston, Dallas, Austin, and Las Vegas – as well as hundreds of other domestic and international destinations. To make your stay in San Antonio luxurious and first class we’ve provided some local information on hotels, private jet airports and popular attractions. San Antonio is the second largest city in Texas where you’ll find a mixture of sophistication and culture including: Native Americans, Germans, Colonial Spain, and the Deep South. The city offers cosmopolitan style alongside tradition and culture. You’ll want to walk along the River Walk, check out the great Mexican markets, and view the local art scene. San Antonio is the center for tourism and culture for the region. Its economy includes trading, government, tourism, and healthcare. The River Walk runs along the Arneson River and lining the walk are restaurants, quaint shops, theaters and bars. You might want to plan your visit during the Fiesta Noche del Rio where the city’s native cultures come alive. Some other notable attractions include the Majestic Theater, the Spanish Governors Palace, Cathedral of San Fernando and the noted Menger Hotel. The Mokara Hotel & Spa is a wonderful spa retreat on San Antonio’s internationally known River Walk and offers the very best comforts and full spa service. For those who want to be away from the city but near enough to enjoy San Antonio, the Westin La Cantera Resort is a top choice. The resort sits atop one of the highest spots in San Antonio with fabulous views of downtown and the great Texas Hill Country.